During your two years at this Institute you will have to undergo three major industry training assignments, namely, Summer Training, Final Project and Final Placement. Summer training will happen after you complete the first two semesters of your first year MBA. Summer placement (summer internship programme, i.e., now popularly known as (SIP), is an integral part of the academic curriculum of MBA. 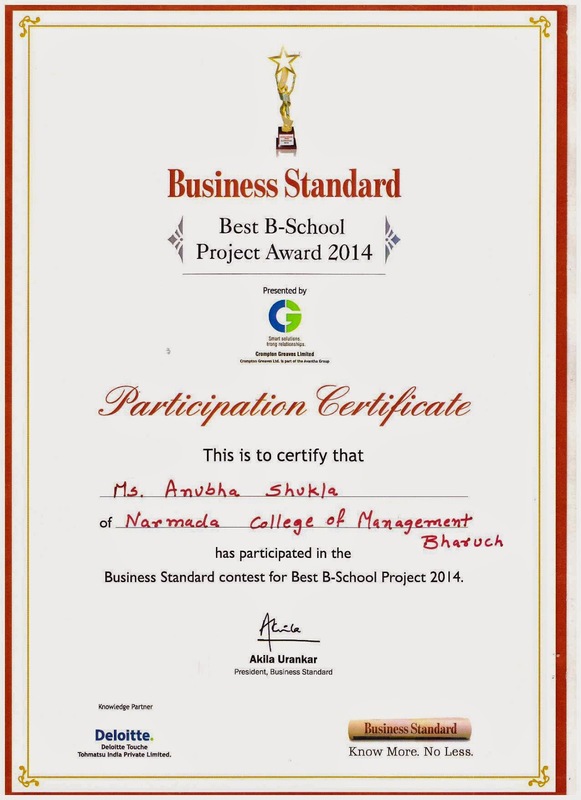 For the successful completion of the MBA programme, the students are required to complete the SIP. 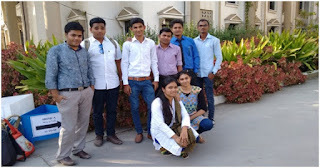 After completion of the 1st year of the programme, i.e., after the 2nd semester and before the commencement of the second year of the programme, the students are required to work with an organisation for hands on experience. The duration of the SIP is six to eight weeks. In some cases this period may be a little longer, but in no case the duration should be more than 10 weeks. SIP aims at widening the student's perspective by providing an exposure to real life organisational and environmental situations. This will enable the students to explore an industry/organisation, build a relationship with a prospective employer, or simply hone their skills in a familiar field. 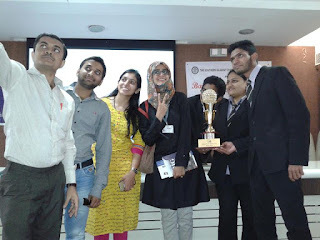 SIP also provides invaluable knowledge and networking experience to the students. During the internship, the student has the chance to put whatever he/she learned in the 1st year of MBA into practice while working on a business plan or trying out a new industry, job function or organisation. 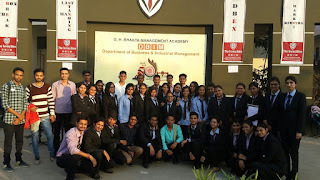 The organisation, in turn, benefits from the objective and unbiased perspective the student provides based on concepts and skills imbibed in the first year at the MBA institute. The summer interns also serve as unofficial spokespersons of the organisation and help in image building on campus. Some ideal projects for summer internships can be in the areas of strategy formulation, business process reengineering, MIS, ERP implementation, retail/investment banking, industry analysis, new product launches, sales and distribution, market research and advertising, etc., among others. However, this is not an exhaustive list of areas but can be varied to suit the requirements of the organisations where the student has to undergo internship. In some cases, even field work can also become an integral part of SIP. 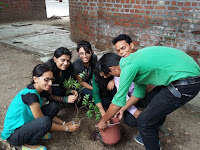 The student need not shy away from taking up such projects. In case the scope of the project is large, even more than one student also can undertake the SIP project jointly. Similarly, if the scope of the project is limited, the student can undertake more than one project during the specified period with the same organisation or with another organisation. An additional benefit that organisations may derive is the unique opportunity to evaluate the student from a long-term perspective. Thus the SIP can become a gateway for final placement of the student. The student should ensure that the data and other information used in the study report is obtained with the permission of the institution concerned. The students should also behave ethically and honestly with the organisation. The SIP process involves working under the mentorship of an executive of the concerned organisation and also with a faculty member of the institute where thestudent is studying, if required. The student is expected to first understand the organisation and its setting and the industry/field in which the organisation is operating. Thereafter, the student is expected to concentrate on the specific topic of study, its objectives, its rationale, and adopt a methodology and identify a suitable analysis procedure for the completion of the study. Wherever possible the student may provide recommendations and action plans, along with the findings of the study. Thereafter, the student should prepare a report and submit one copy to the organisation and one copy each to the institute and the university. The student should also obtain a certificate from the organisation/s where the SIP was done and attach the same with the copy submitted to the institute. The university will arrange for evaluation of the SIP reports submitted by the students. For the purpose, the university will nominate one faculty from outside the institute and one faculty member from the institute who will be the examiners. The student/s is/are expected to make a 15 minute presentation before the examiners regarding the SIP project work undertaken, which will be followed by questions by the examiners. i) Introduction: Clear understanding of the topic/subject; understanding of the organisation/unit//field. iii) Details about the study: Objectives, formulation of the problem, scope, and rationale of the study. iv) Methods/methodology adopted for the study: Analytical, Survey, Field Work or any other method with appropriate justification and reasoning. v) Analysis and conclusions: The logic of analysis, source of data, whether the conclusions are in line with the objectives, etc. the benefits to the organisation, the learning from the study for the student, etc. vii) Acknowledgements: References/Citations and Bibliography and help, if any,, received from other individuals/organisations. viii) Presentation of the report, format of the report, flow of the report, style, language, etc. ix) Presentation of the report to the examiners: Substance and treatment of the topic, style of presentation, performance in the question answer session, time management, language, etc. The objective of this course is to prepare the students to conduct a study of an Industry/organization or project utilizing the tools and techniques learned in the first three semesters of the programme. The focus of the study could be an in depth analysis of an industry and within the industry study of an organization as a case study. The emphasis is on macro and micro level study of issues/problems. Alternatively, if an organization has a problem, its diagnosis and solution in the form of an analytical analysis or model building could be considered which can be implemented. The comprehensive project study could also be carried out as a comparative analysis of the same industry in different countries, if feasible. The project should have substantial primary/secondary data. The student is expected to conduct a detailed survey of literature and/or analysis of the secondary/ primary data. In case of a status report of an industry, it is expected that the student collects data regarding all aspects related to a particular industry, analyse the data and present the findings. Prior to conduct of the study, a student is required to prepare a short research proposal of the study and it is also expected that the study would lead to recommendations and implementable plans of action. theory/survey of management practices with reference to particular industry. 3. Field study (empirical study) with respect to any research issue. 4. Feasibility Study as Comprehensive Project. 1. The student is expected to follow the required style for presentation of the report including Tables, References, Bibliography and Appendices. 2. Literature Survey should be related to the problem of study. Review of the studies in the area and critical examination of them including conclusions of the student should form part of the literature survey. 3. Acknowledgement of all sources of information through footnoting and biography is an essential requirement of the study. 1. The comprehensive study should be done by a team of two students. Undertaking comprehensive project by a single student should be discouraged. 2. A faculty member should be assigned to each group. The faculty member should ensure that there is proper analysis of data with some amount of originality. Cut and paste of data/analysis/material should not be allowed. 3. Ideally the comprehensive study should start from the third semester and the deadlines for different activities such as identification of topics, presentation of proposal, data collection, etc., can be specified by the respective institution so as to discourage last minute compilation and collation of data/materials. 4. Two copies of the report (one print + one digital) should be submitted by the student(s) to the institute. The institute has to submit combined CD of all the projects to the GTU Library. Final Placement being an important activity of the Institute, is coordinated by faculty members, students and a full time placement officer. The Placement team consists of 16 students, 8 from each year, two faculty members and the placement officer. The activity begins by designing of the placement brochure. The placement brochure is an interface between the graduating students and the industry. It contains all the details about the Institute, its vision, mission, teaching methodology, core strengths, faculty profile and detailed profile of the students. The idea is to give the accurate picture to the prospective recruiting organization about ourselves. After the design and printing of the brochure the industry contact program begins. In the mid of October students form teams and try to cover each and every important geographical area which has potential in terms of final placements. After the distribution of the brochure we undertake a follow up exercise to generate as many enquiries as possible, to arrange for campus interviews. The brochure also contains details of the placement week which we plan to hold in mid January / beginning of February of every year. During the placement week companies who wish to recruit students, visit our campus and carry out the selection process. Finally based on the selection process and our students performance they make placement offers with the job details. The preparation from the students point of view should begin, ideally in the third semester in terms of improving their communication skills, presentation skills, subject knowledge and over all presentation of themselves. To groom the students with these skills, the placement Team arranges for MOCK VIVA as well . The feedback which we have received from the prospective employers of yesteryears is that the key elements which they look in a candidate is, presentation skills, communication skills and some soft skills like Inter personal skills, positive attitude, group dynamics, creativity and the like.